Rio Grande Chapter representatives (from left): Tessie Greenfield, Barbara Gaerlan, FANHS founder Dr. Dorothy Cordova and Pearl King at the 2018 FANHS Conference. FANHS mission: To promote understanding, education, enlightenment, appreciation, and enrichment through the identification, gathering, preservation, and dissemination of the history and culture of Filipino Americans in the United States. The headquarters is located in Seattle, WA. As of 2018, there are 35 FANHS chapters in the US. See the latest photos and information of the 2018 FANHS Conference. 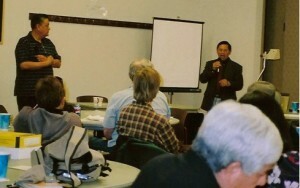 FANHS RG, the 20th chapter of FANHS, was founded in 1998. 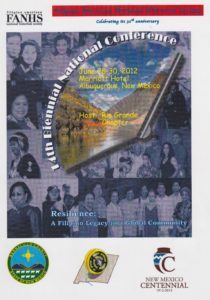 For the history of FANHS Rio Grande, read article written by founder, Dr. Dely Alcantara: Making Invisible Visible 2000. 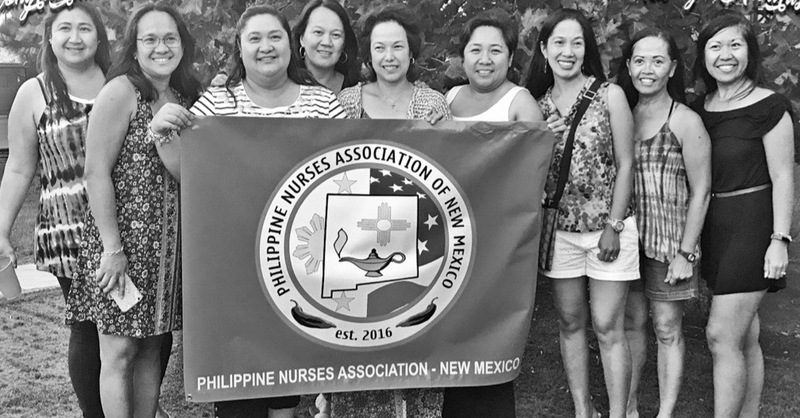 PHOTO CAPTION: The founding members (from left): Connie Perkins, Myrna Samson, Chol Aquino, Dr. Dely Alcantara (founding president), Vir and Ruth Velasco, David Galbiso, Evelio Sabay and Josephine Stevens. To apply for membership, print form and send it with the check (payable to FANHS RG) to the above address: FANHS RG Membership Form 2015. 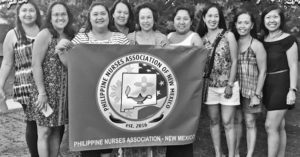 Activities in 2018: Filipino American History Month (October): Oral History Lecture/Potluck, Oct. 20, 2018, 11 am to 2 pm featuring nurses. Click on Flyer for Oct 20 Oral History. 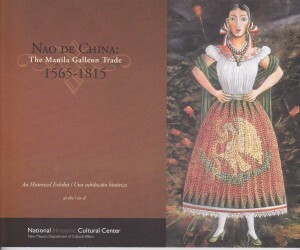 April 11, Tues, Filipino Culture Week, UNM Gallup. See photos and information: UNM Gallup. Oct. 21, Sat. 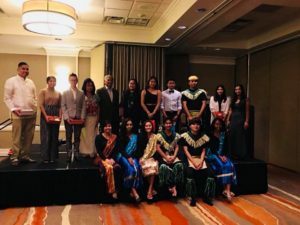 2017 Pamana Awards and Filipino American History Month, Wyndham Hotel. Click: 2017 Pamana. April 23, Halle Manoa (Money Concepts Bldg. ), 619 San Mateo NE (between Lomas and Copper). 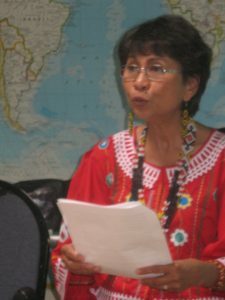 Presentation: Kapwa: Connection as Resilience by Mila Anguluan, PhD (photo below). 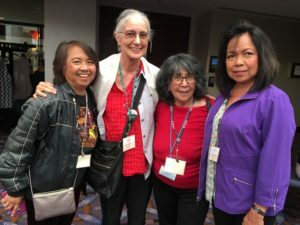 June 22-25, FANHS National Conference in New York was attended by FANHS RG President Pearl King, VP Dr. Dely Alcantara and members, Ligaya White and Dr. Ted Jojola. 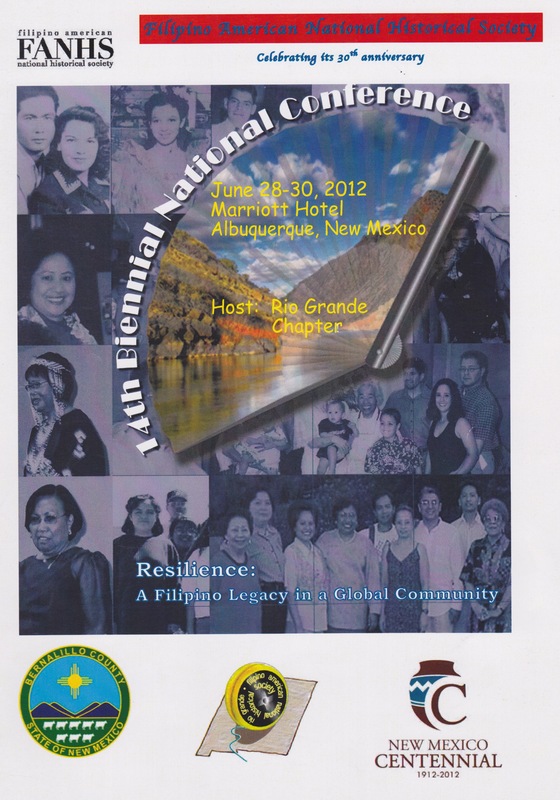 Representing NM in FANHS National Conferences. Past projects and publications: FANHS RG Past & Present Projects. Also read: Filipinos in New Mexico. Dr. Mila Anguluan, speaker in one of our Oral History lectures. 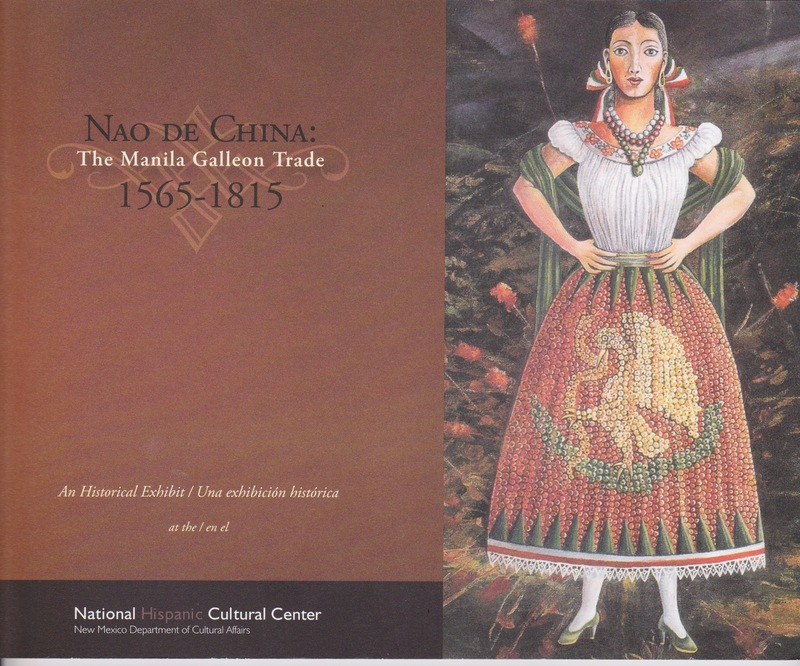 Our past events: Sakadas Oral History, the brochure cover of the Manila Galleon Trade Exhibit at the National Hispanic Cultural Center and 2012 FANHS Conference in Albuquerque which FANHS RG hosted. 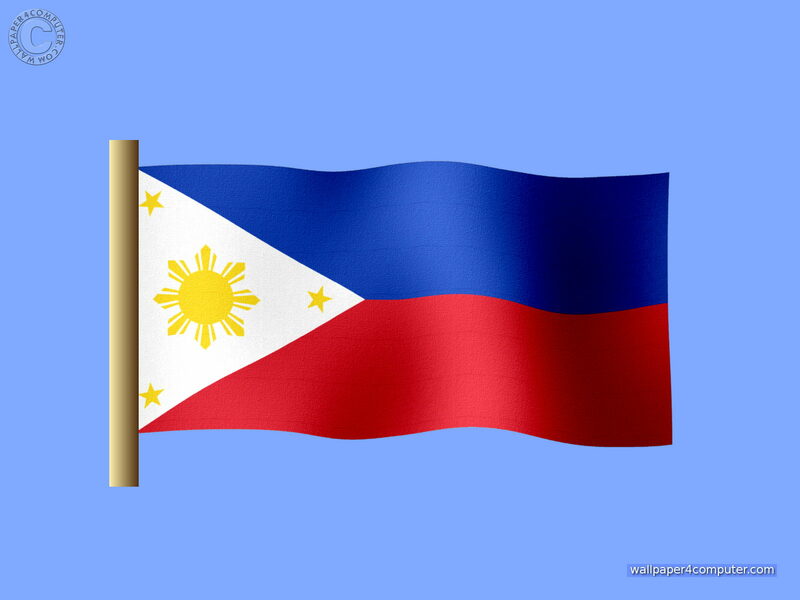 Best source of books on Fil-Am History and other publications written by Filipinos, visit this bookstore based in California where you can order online as well.